Big boosts teased for both heroes. According to a leak published via BlizzTrack, the next Overwatch PTR Patch will buff Junkrat and Reaper, and will also give a number of heroes a few quality of life updates too. The Patch is expected to go live on the PTR today, 26th March. Junkrat received a buff to his Frag Launcher in the most recent patch, but it seems Blizzard’s still not done improving his fortunes. According to the leak, they'll be giving his grenades some extra zip by increasing their speed from 20 to 25, but they’ll bounce less and explode sooner to balance things out. According to Blizzard, all of these changes will “slightly increase the range at which Junkrat can land direct hits” and will allow Junkrat to aim his grenades more deliberately. You'll be able to use it in the air. Time to exit Shadow Step will be reduced from 1.0 second to 0.5 of a second. 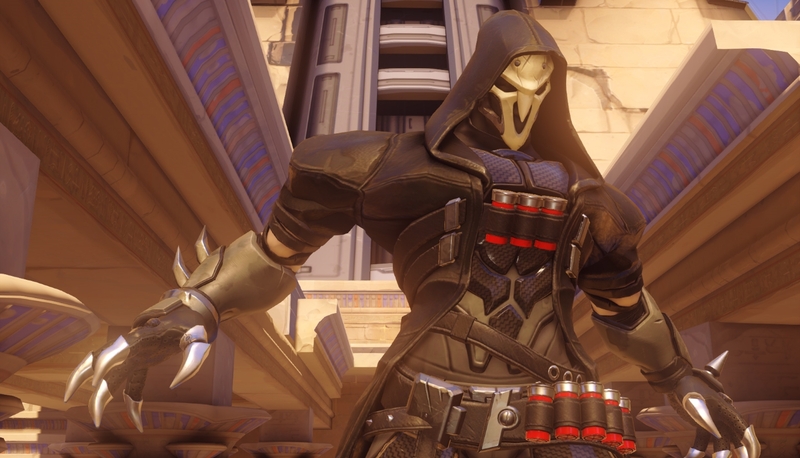 Reaper will turn invisible for the entire time it takes to exit Shadow Step. You will be able to teleport onto surfaces that would usually break, like railings. Shadow Step used to be overly situational, so much so you simply couldn’t use it in fights as you’d get picked off in an instant. With these changes it'll be far more flexible and will enable Reaper to use this ability in far more offensive situations. Elsewhere, a huge number of heroes will receive small bug fixes and UI tweaks. For a complete overview of everything that’s expected to arrive with Patch 1.35, make sure you head on over to the BlizzTrack page.